”Future Local Leaders”, co-organized by Hai Moldova initiative and EcoVisio, and funded by US Embassy, is a program designed to develop leadership skills and offer basic knowledge on waste management & sustainable development for youth from all regions of Moldova. The ultimate goal is to increase civic engagement and democratic action and create a national network of Hai Moldova ambassadors. 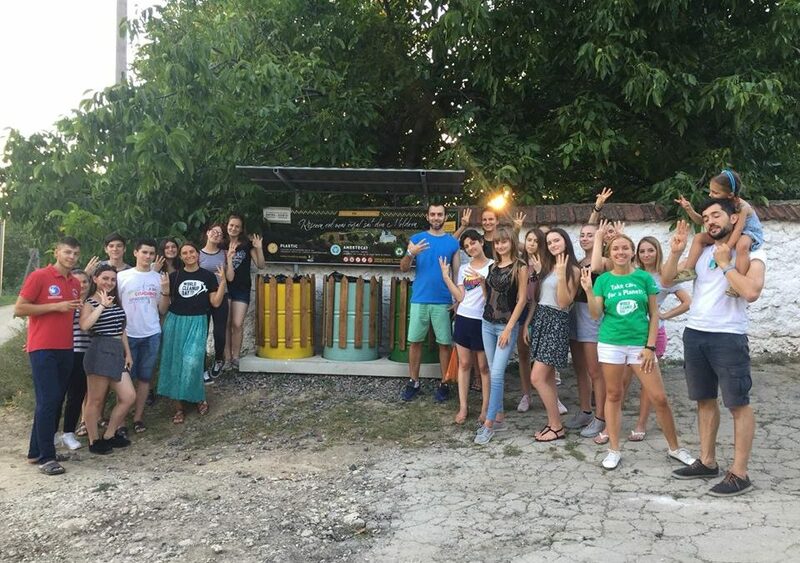 The program consists of four trainings, three of which took place at the end of August at the EcoVisio Training Center in Riscova and were attended by 72 teenagers from 25 districts of Moldova (including Transnistria). Besides the sessions on leadership and waste management, they were also prepared for their ”test” - organizing the World Cleanup Day 2018 (15.09.18) in Moldova. The trainers helped them build a strategy of how to engage the local community, involving public administration, NGOs, private sector and educational institutions. Thanks to these young people, the National Cleanup Day engaged 77 thousands of volunteers from all over the country. The last training on leadership for selected regions (Soroca, Falești, Dubăsarii Vechi, Palanca) will be held in February 2019.